Back pain more often than not portrays itself like a slipped disc, muscles spasm or muscle strain. The pain that is experienced due to this condition can be quite unbearable, particularly when it affects the lower back.There are a variety of causes of back pain and they differ from one person to the next. The most common cause of a slip disc is lifting of objects using the wrong form. The object that you are lifting does not necessarily have to be very heavy since even lifting a light object in the wrong way can cause damage, especially if you are not using the correct muscles of the back. This condition is also common among people who undertake certain types of jobs that require prolonged periods of either standing or sitting down. A simple task such as working in the garden or even shoveling snow can also lead to a slip disc if done in the wrong manner. The strain that is encountered as we perform these activities may cause a spinal disc to bulge out and thus put pressure on the adjacent structures and nerves. It is essential that you realize that there are things that you can undertake to assist in alleviating pain. Bed rest has long been considered to help in relieving the pain in the back. On the other hand, doctors have recently found out that any form of movement or physical activity goes a long way in making sure that the pain is reduced as well as protecting against further occurrences. It is highly recommended that you also use hot and cold compresses. These forms of treatment ought to be administered in the form of heating pads, hot water bottles or ice packs. When you use any of the aforementioned methods, make sure that you only use them for twenty minutes so as not to weaken the muscles. Over the counter pain killers are also recommended. Once your pain starts to diminish, you are advised to start a light workout program so as to strengthen the muscles of the back. First and foremost, consult your doctor prior to starting any exercises. A light warm up is also essential before the exercises. Certain diseases like arthritis, obesity, tuberculosis, dysmenorrhea, bone tumors, osteoporosis etc. 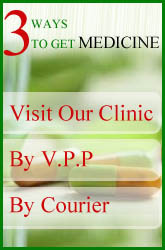 is also considered as the culprits in causing back pain. Lay down strait on the firm floor and slowly raise your both legs upwards, till the point you are comfortable and hold your breathe for some time and then slowly and gradually come back to the initial position. One thing you should be very careful that if you feel pain while doing this, stop doing it immediately and relax. Lay on your back and your hands are positioned slightly away from your body. Put your feet together. Do some deep breathing and try to relax and concentrate on your lower back for a minute. Now carefully and slowly start turning your feet in right and simultaneously your head to left side. Hold in the position that does not cause pain, take few deep breathes and the slowly come back to the original position. Reverse the whole activity. Perform this exercise 10 times a side. Again you should be very careful that if you feel pain while doing this, stop doing it immediately and relax. Avoid over exertion, should not lift heavy things and not to carry too much at a time. Exercise regularly, but avoid over doing of exercise. take a moderate amount regularly will do more good then strenuous exercise on rare occasions. Sleep on hard mattresses instead of soft one. Take care that the chair makes contact with the spine fully when u sit on it. Take small amount of ajwain seeds & put it in a small cloth, put this bundle on alreadyheated container and let the bundle heated.apply it over the back, it will give you relief. Make a paste of lime stone and honey and paste on affected area, its too good for back pain. Application of raw potato in the poultice form has been very effective. Intake of a tea spoon of sesame oil, soaked in ¼ cupof water and keep over night. 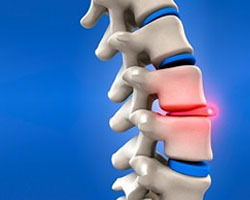 has been found to be effeicient in slipped disc. 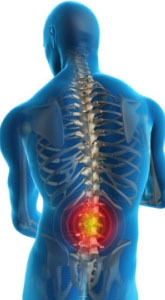 Intake of 2 table spoons of lemon juice with a tea spoon of honey mixed with warm water is helpful in curing backache. Mix 5 drops of ginger oil with 20 drops of almond oil and massage into tender areas. avoid air contact after massage.